SAM provides spherical gas atomized metal powders suitable for 3D Printing applications. As the additive manufacturing industry advances, so will our additive manufacturing powder product offerings. If your application requires a size not listed, please contact the SAM sales team and they will assist you. 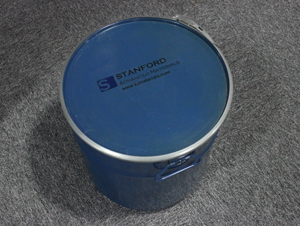 SAM's aluminum, cobalt, iron, nickel, silver, stainless steel and titanium metal powders deposit evenly and flow easily. The metal powder for additive manufacturing also have tight particle size distribution and are available in a wide range of particle size distributions. Custom sizes available upon request. Contact SAM to discuss your specific requirement. Our product is clearly tagged and labeled externally to ensure efficient identification and quality control. Great care is taken to avoid any damage which might be caused during storage or transportation. 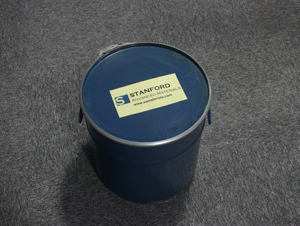 Spherical Tantalum Powder for saleStanford Advanced Materials (SAM) can offer spherical tantalum powder which could be used in 3D printing.Related products: 3D Printing Powder, Pure Tantalum, Tantalum Tungsten Alloy, Tantalum Niobium Alloy, etc.